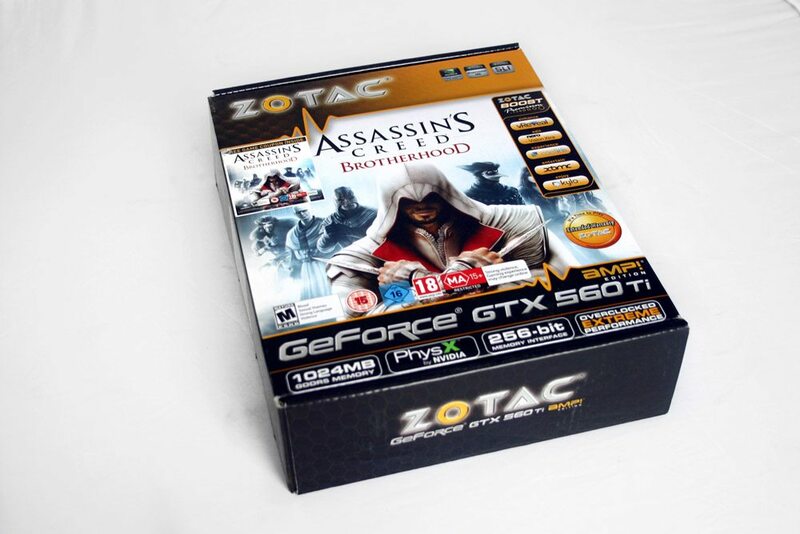 Instead of showing off the card you’re actually buying, Zotac uses Assassin’s Creed Brotherhood box art to advertise the GPU. 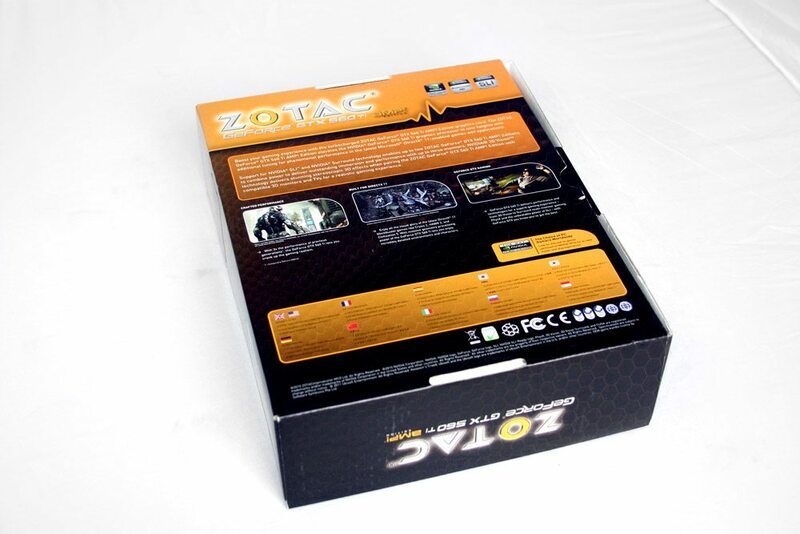 Thats another advantage of giving a free game away with the card. 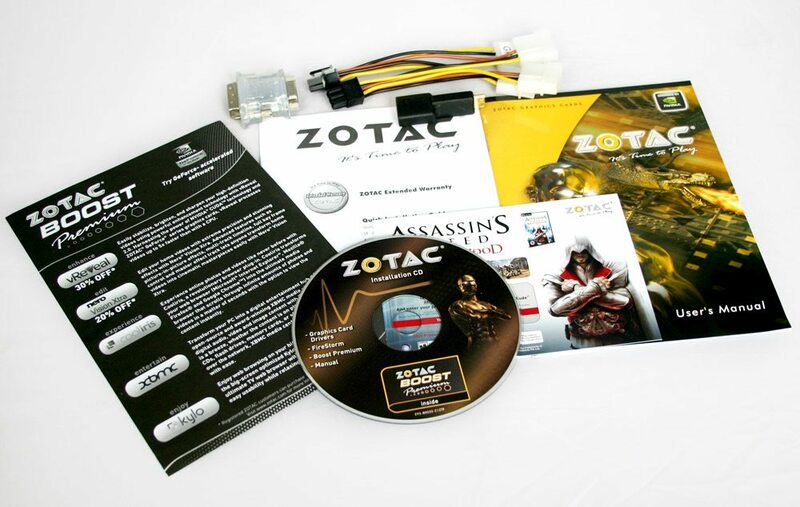 As well as the Brotherhood CD Key, you also get a setup manual, driver CD, mini-hdmi to HDMI converter, 2 x molex 4pin to PCIe 6pin converters and a couple of info guides.